When I was a kid there was a fair amount of sci fi on TV, from the very good like Star Trek to the not so great like Time Tunnel. Sci fi has always been on TV but its popularity ebbs and flows. 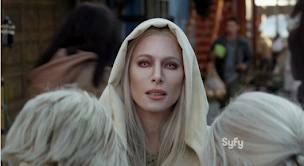 Now, with speciality channels like Syfy in the States and Space here, there is more sci fi than ever before. Kids, it ain't all good. 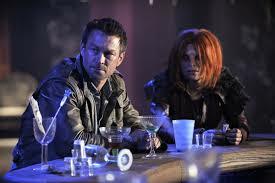 But recently I've began watching two new sci fi series, both of them locally produced. 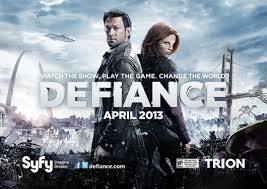 Defiance is also shot in Toronto but it definitely is not set here. It's actually an American show, produced for Syfy channel and it's airing on Showtime. Both shows are locally produced but that's about where the similarities end. 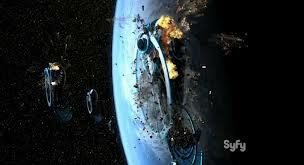 Defiance, is a fairly traditional sci fi series; it's set on a future Earth in a time where visiting aliens, several different races, have tried to make a home here to the point of terraforming the planet, we sort of objected to this concept, we fight a war and now there is a draw, with the Earth basically in ruins. Our hero is a human with an alien "adopted daughter" and they find themselves in the city of Defiance which exists in the ruins of St. Louis. It is a frontier outpost besieged by raiders, beset by culture clashes, dominated by a wealthy miner and filled with prostitutes, gamblers and fighters. The hero finds himself in a situation where he has to serve as the town's Lawkeeper. Yeh, it's a Western. Now, sci fi Westerns are nothing new, it's a fairly traditional hybrid. Also familiar is the concept of several different races, human and alien, trying to co exist together. That's one of the basic premises of most space operas, from Star Trek to Babylon Five. Also traditional is how these alien races are presented; some weird contact lenses, an application over the nose, some funky hair and voila we have an alien; maybe allow a race to be able to manipulate energy, make another race very tribal, another race warriors who indulge in body modifications .. and don't think about much else. Why make a character an alien if he's going to act exactly like a human being, with the same motivations, the same desires, the same physical and facial expressions. The show is well produced, the main character as portrayed by Grant Bowler is entertaining, the cynical ex soldier with the heart of gold, again not entirely original but Bowler makes him watchable. Graham Greene portrays the mine owner but as much as admire Greene, he seems to be phoning in his performance. The town's resident bad guys are so stereotypically evil they're almost laughable. The series is handsomely made, and there may be some hope for it, the backstory certainly needs to be filled in and perhaps we'll learn more things about these aliens that will make them compelling. 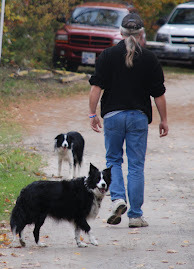 There is an ongoing mystery as set up in the first episode and lots of possibilities to make it interesting but that could be a long journey. Let's hope it will be worth it. From here on in Orphan Black functions pretty much as a mystery. The sci fi component comes in the form of the fact that there seem to be several Sarahs. She starts out assuming the identity of the dead woman in order to rob her and finds herself quite quickly, way over her head. The scripts are really good, there is attention to detail and more importantly a really clever sense of humour. But this concept wouldn't work without a really strong actor and Tatiana Maslany delivers a really stunning performance, it's really going to be fun to watch her as all the Sarahs. I'm already pretty much hooked on Orphan Black. Now, I've been burnt by these kinds of stories before, there's always the possibility that the story will unravel or just come to a screeching halt. But the performances and the witty script is worth the risk. 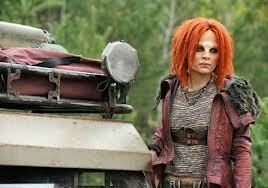 I'll check out another episode of Defiance but it has a lot to prove me. I defiantly wait for it to prove itself .. yes, I went there, shut up. So choose as you will: A future story far from perfect and a story set in the present that is not perfect, but pretty damn good. NO DON'T LOOK HERE, LOOK OVER THERE!